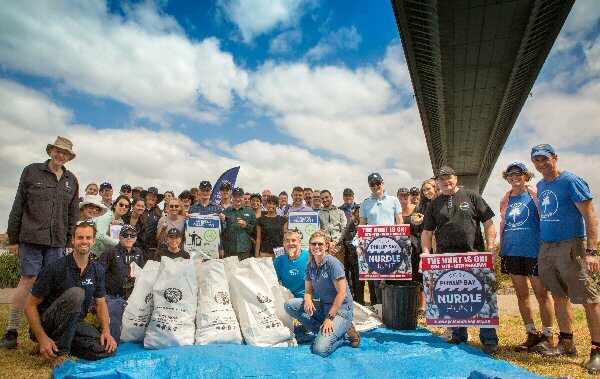 Armed with hats, gloves and data collection sheets, several ‘beady-eyed’ Qenos employees took to the shores of Port Phillip Bay to hunt for nurdles and help clean up any other washed up waste. Polyethylene resin pellets are also known as ‘nurdles’. - Nurdles do absorb toxins while they are in the water. Qenos is a proud signatory to Operation Clean Sweep® Australia. The campaign’s goal is: to help every plastic resin handling operation implement good housekeeping and pellet containment practices to work towards achieving zero pellet loss. 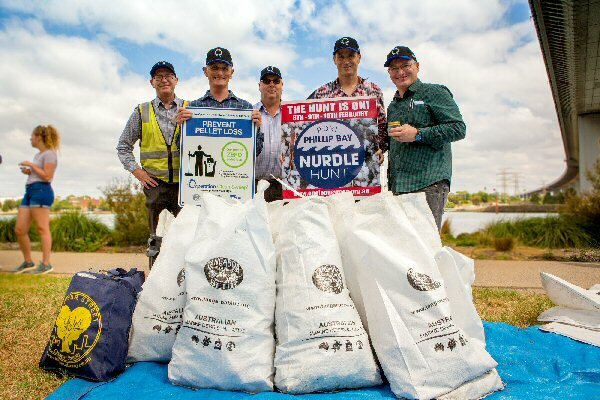 In total, the team removed 52kg of litter and just over 1500 nurdles from the 100m stretch of Yarra River at Westgate Park, under Victoria’s iconic West Gate Bridge. Considering the 12 trillion polyethylene granules Qenos produces each year, this is a good result, but as an organisation we are keen to learn more. Team leaders of the Qenos SHE and Polymer Operations group were in attendance to understand how Qenos can work towards ‘Achieving Zero Pellet Loss’ and help eliminate the release of plastic into our waterways. While consumers are responsible for the proper disposal of the products they use, the plastics industry must focus on proper containment of the products we use – plastic pellets, the basic raw material of our industry. We must prevent the pellets from getting into waterways that eventually lead to the sea.